Description: T L Osborn begins his book by stating one simple fact: "If you are sick, God wants to heal you." Throughout his ministry, Dr. Osborn has personally witnessed the miraculous healing of multitudes of people. 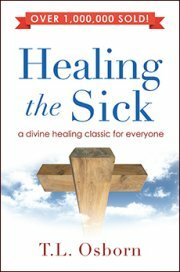 Healing The Sick is one of the foremost authoritative teachings on divine healing. Now in an expanded and easier-to-read format, this living classic continues to be a miracle blessing to all who read it.